Our Director of Advanced Transportation, Aerospace & Defense Industry Cluster Development, recently purchased a new Urb-e electric scooter. 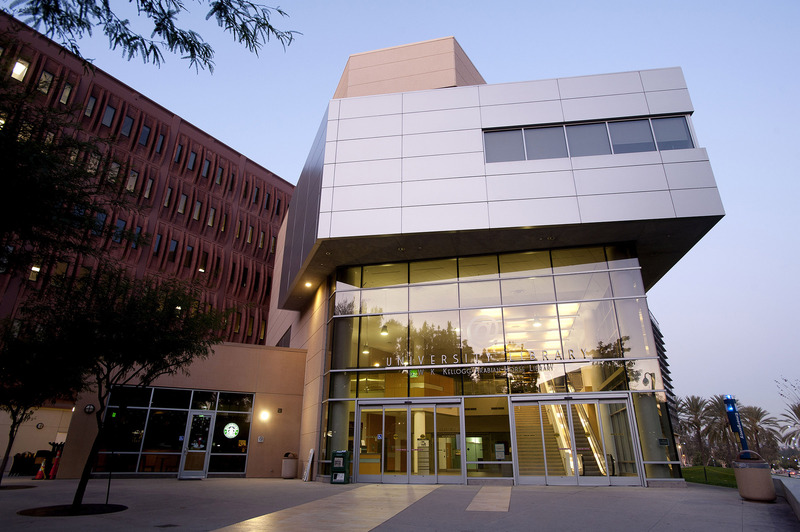 The Urb-e, which is designed and made in Pasadena, takes Judy from her home in Santa Monica to the Metro Expo line stop (also in Santa Monica). She folds up the scooter and rides the train to Downtown LA, and uses the Urb-e for the final leg of her commute to our offices in the Financial District. Stay tuned to see how she does over the next two weeks! 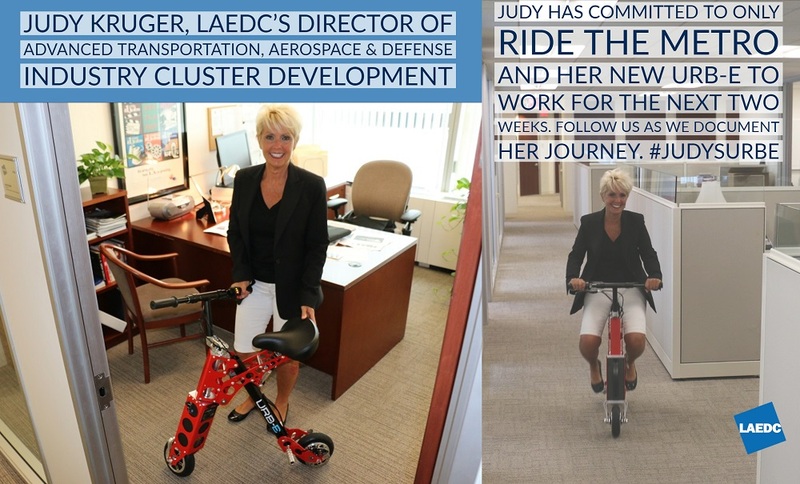 Judy’s new ride is an example of supporting our growing advanced transportation industry cluster. Around LA County hundreds of companies and thousands of people are producing autonomous driving subsystems, doing electric car and bus design and development, inventing the Hyperloop transportation mode… and much more. Urb-e is a great example and the company has expanded into a converted wedding dress shop/tobacco store as it manufactures scooters. Some of these solutions like Urb-e are last-mile solutions that reduce car traffic and increase adoption of public transit. By fostering growth of these local businesses, we are creating well-paying jobs and strengthening our economy while making an impact on global challenges. LAEDC’s e4 Mobility Alliance is an industry council dedicated to helping these companies grow and hire. Check back for frequent updates on how Judy is actively living the ideals of LA’s advanced transportation vision!